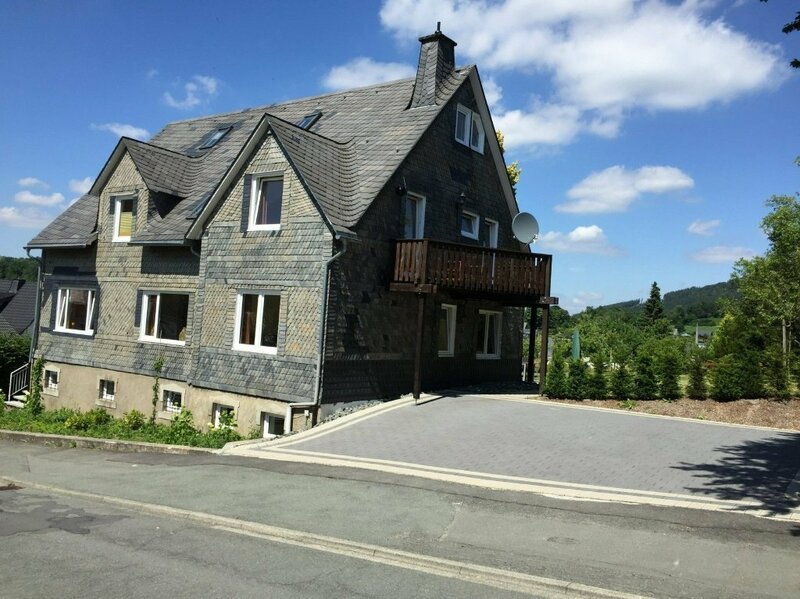 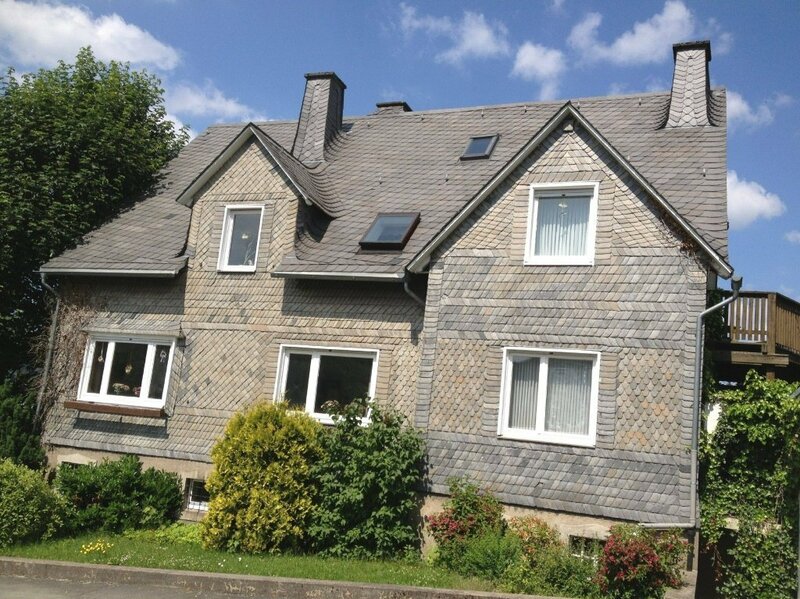 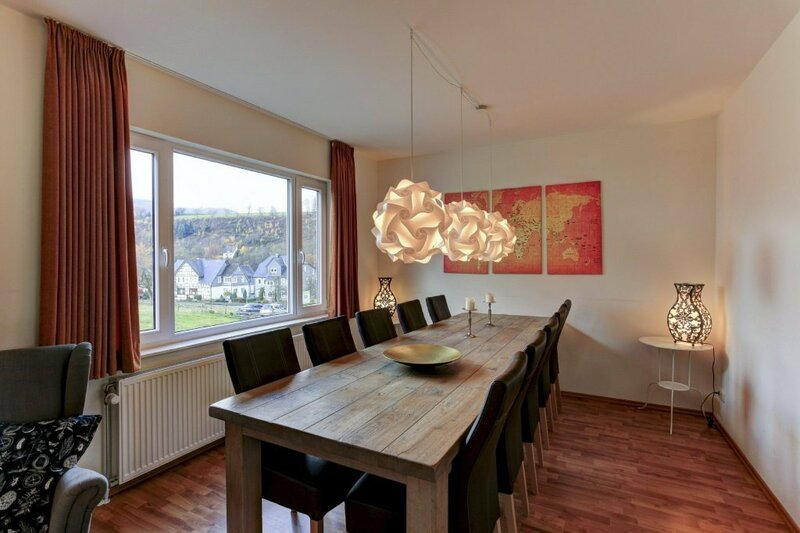 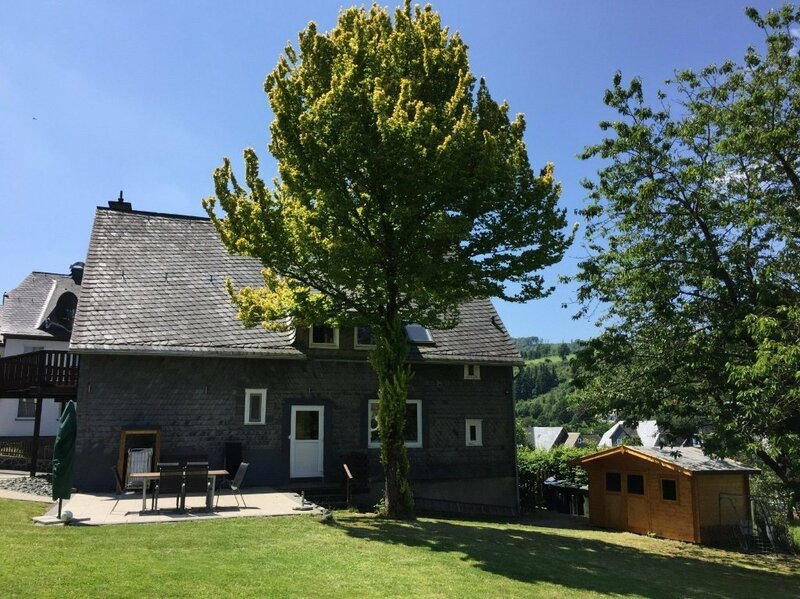 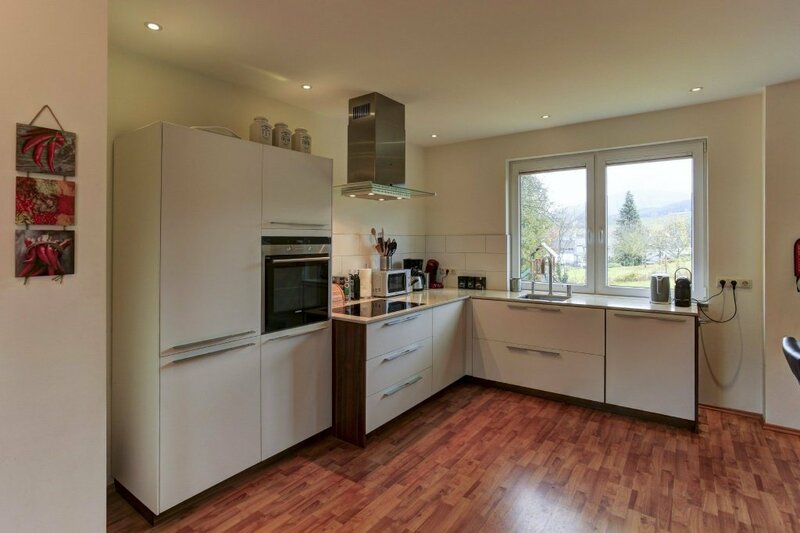 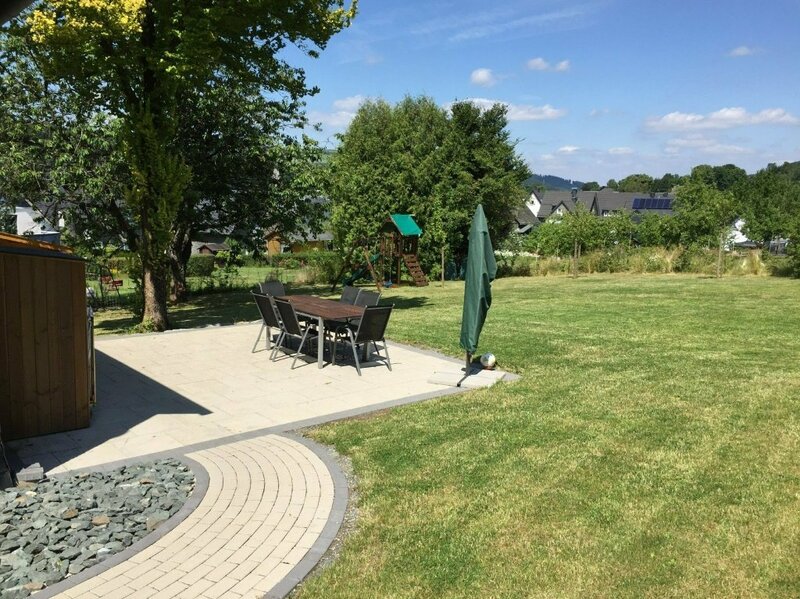 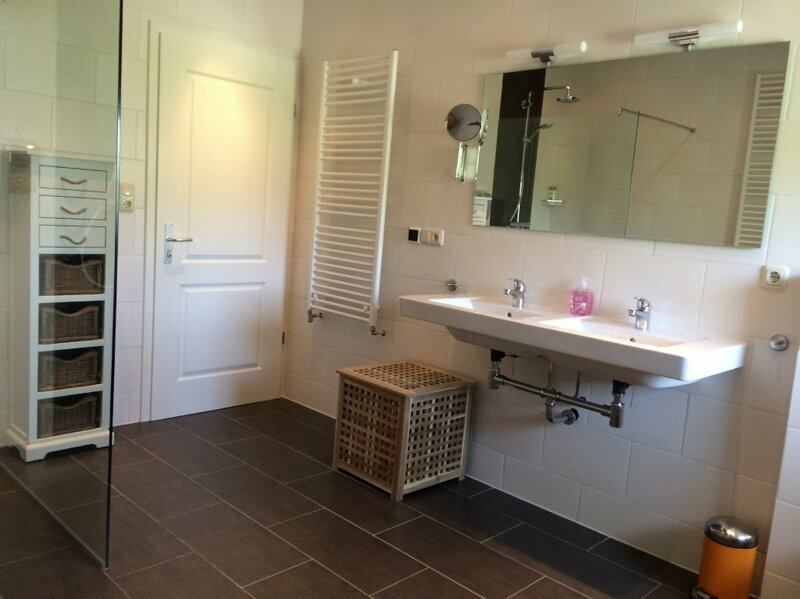 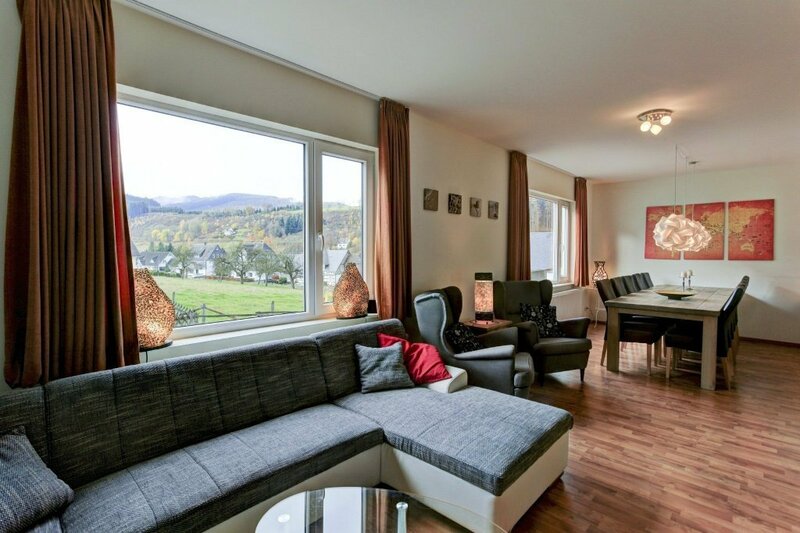 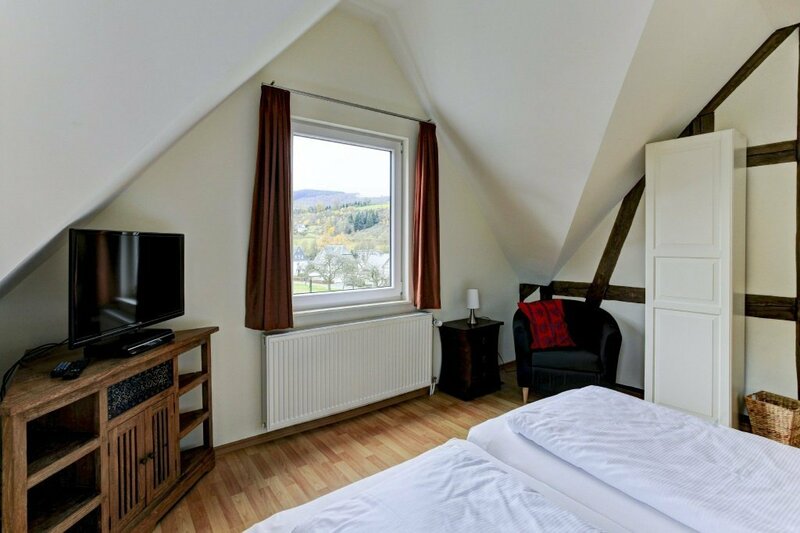 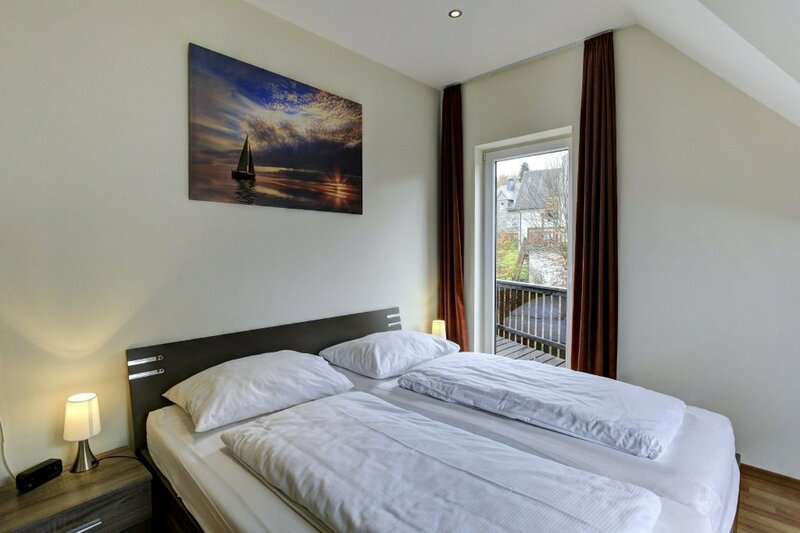 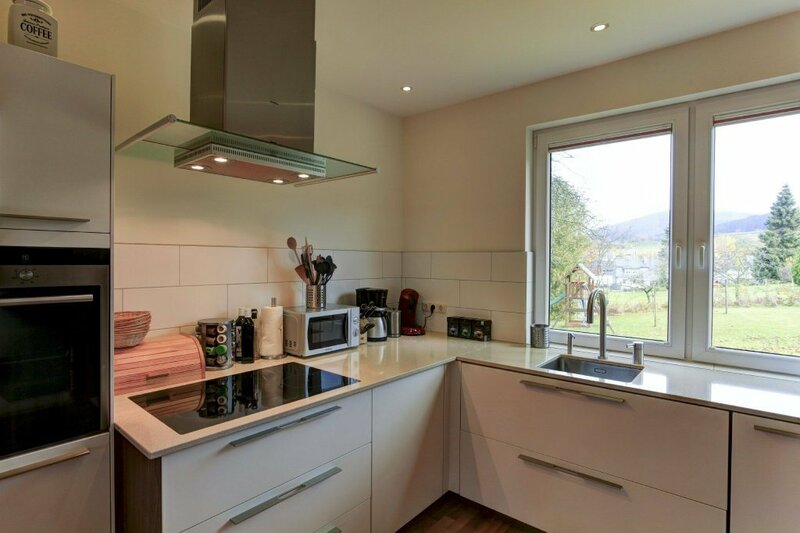 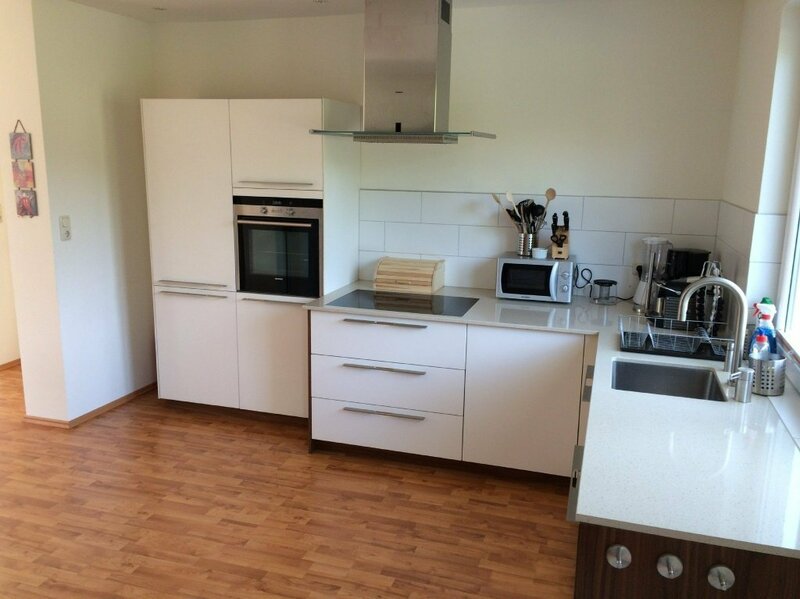 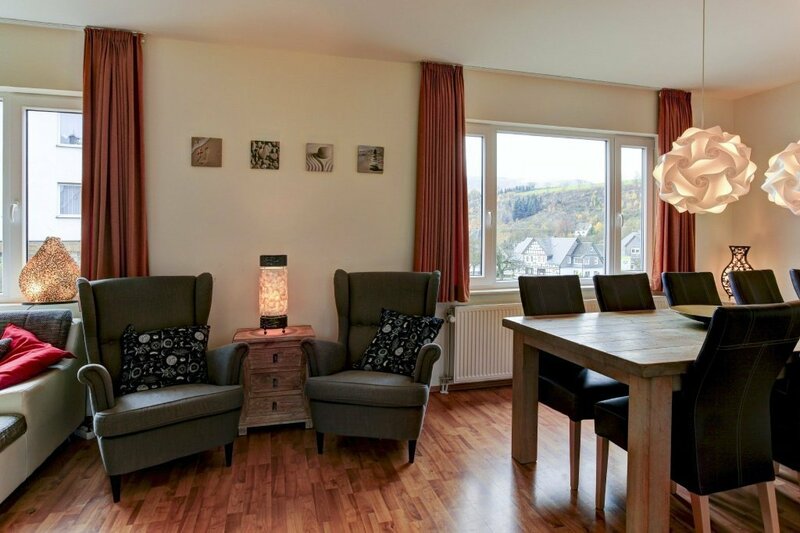 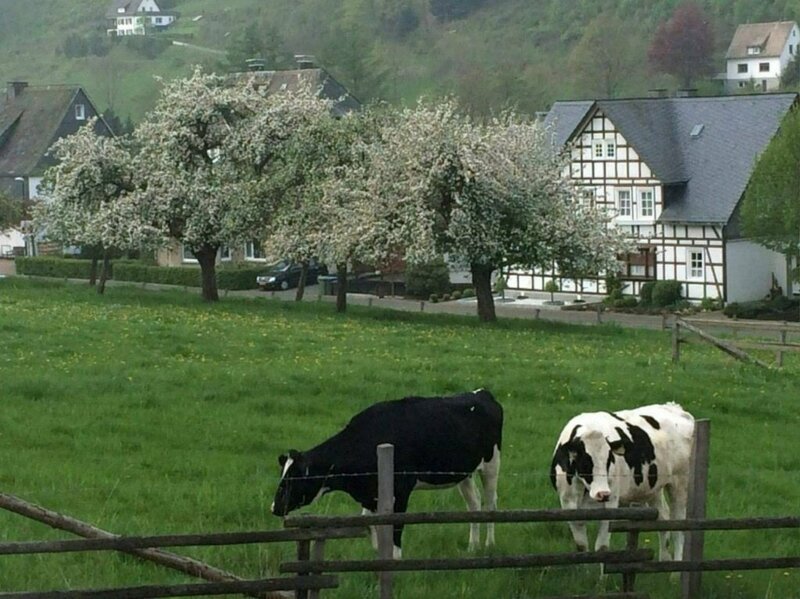 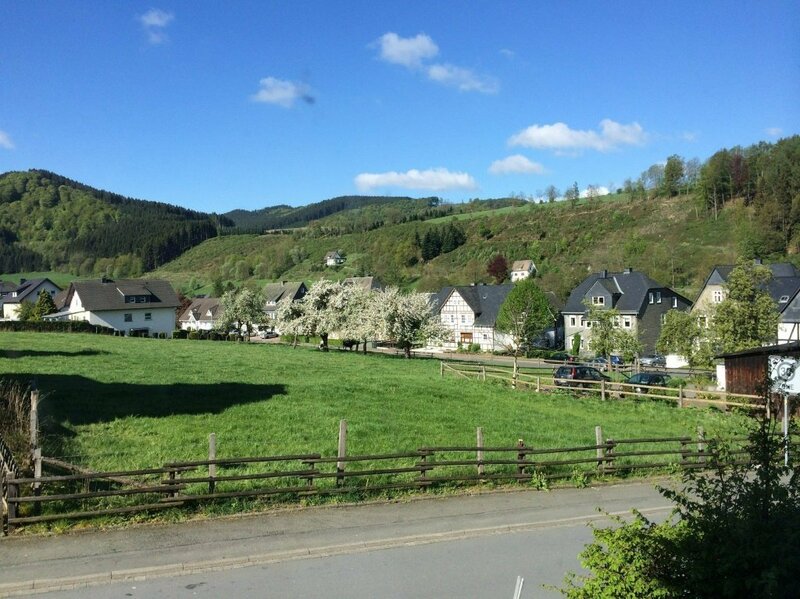 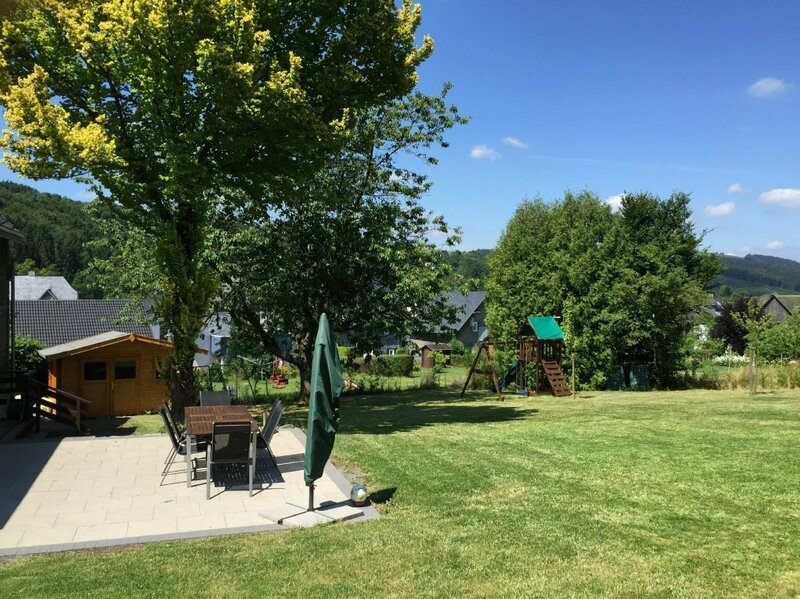 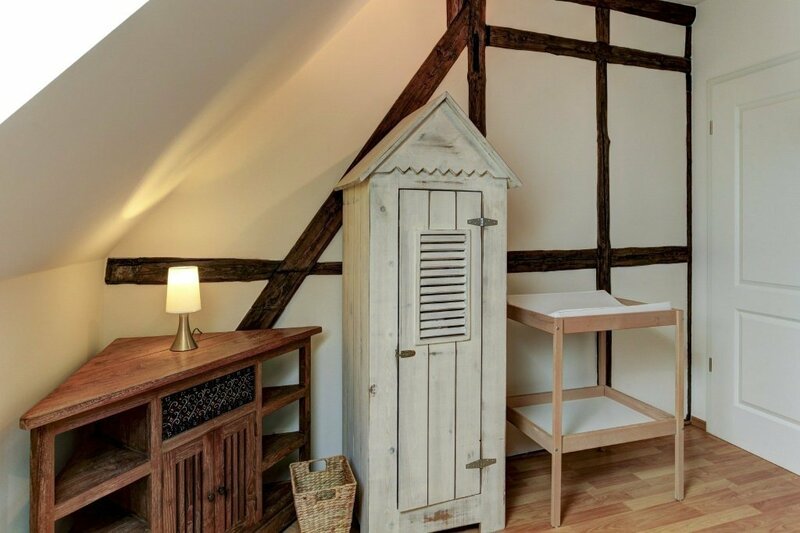 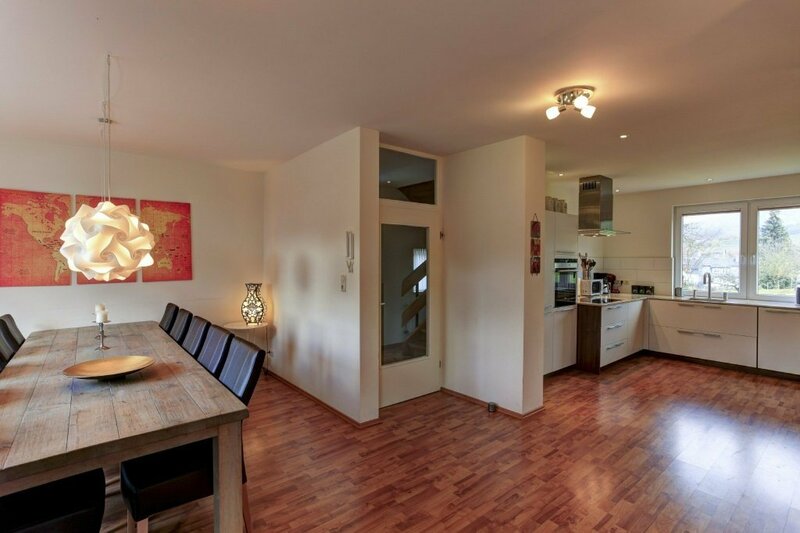 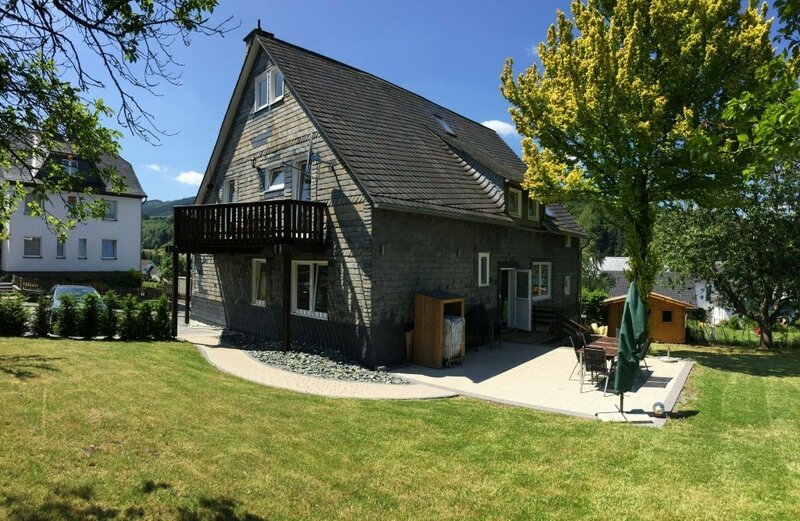 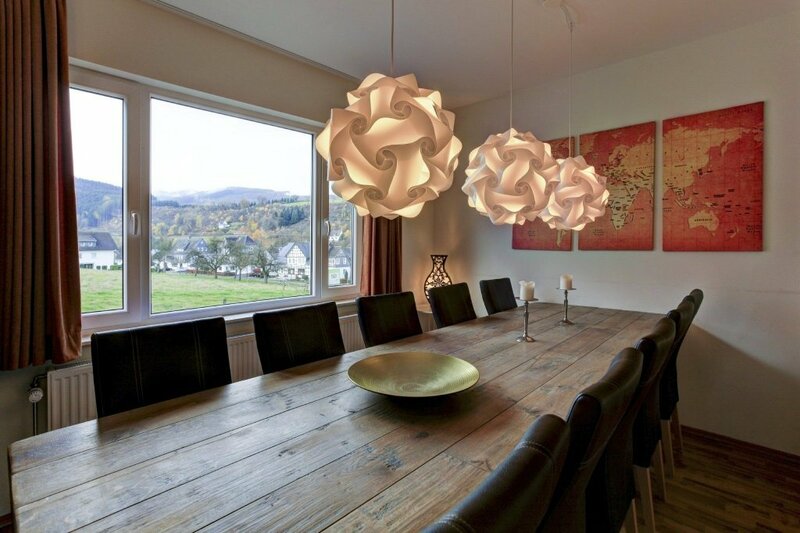 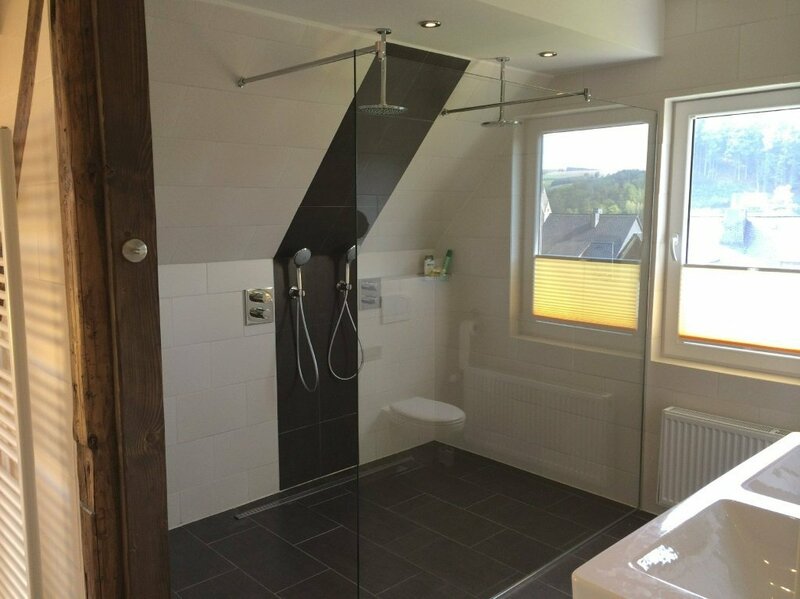 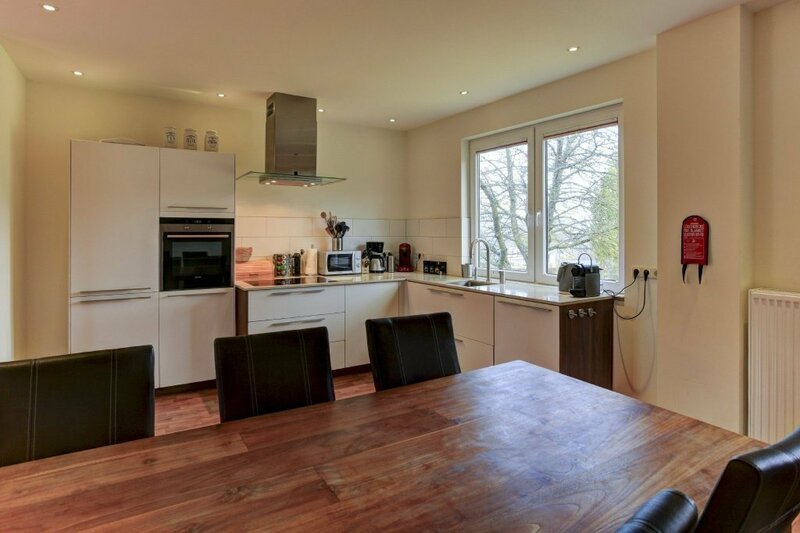 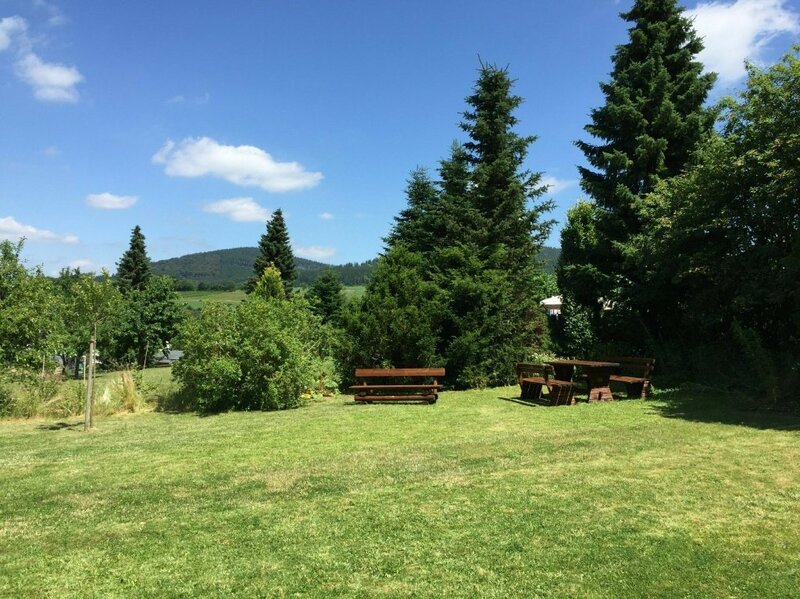 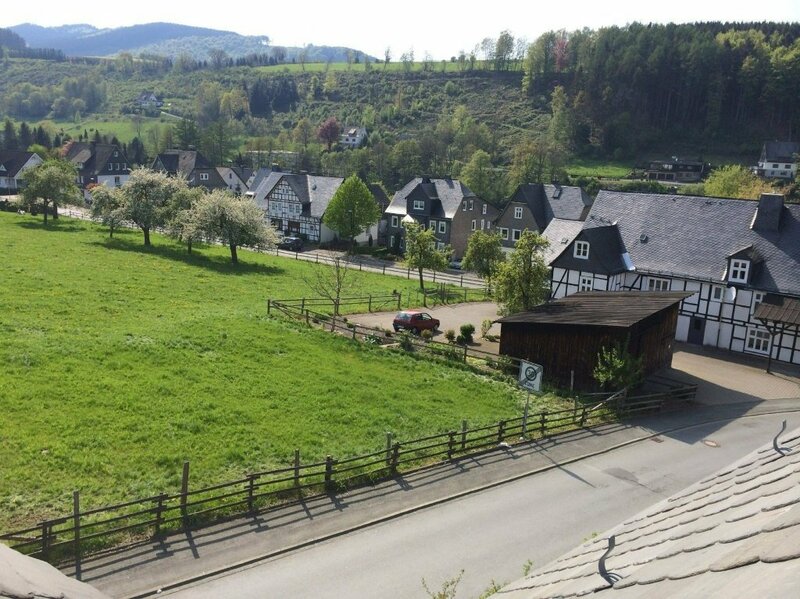 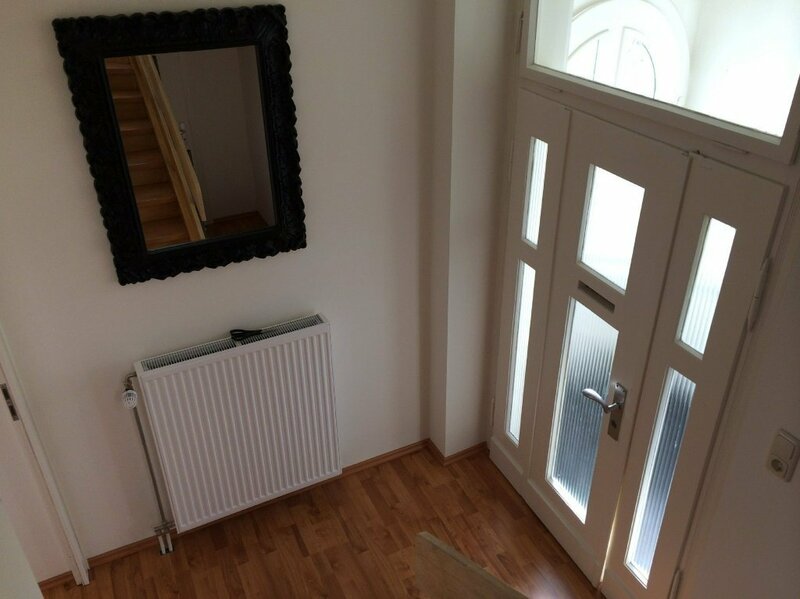 Villa Ennert is in Siedlinghausen, district of Winterberg, just 10 km northwest of the golf course and slopes from the center of Winterberg, in the Sauerland in a beautiful and quiet area with mountains up to 840m high. 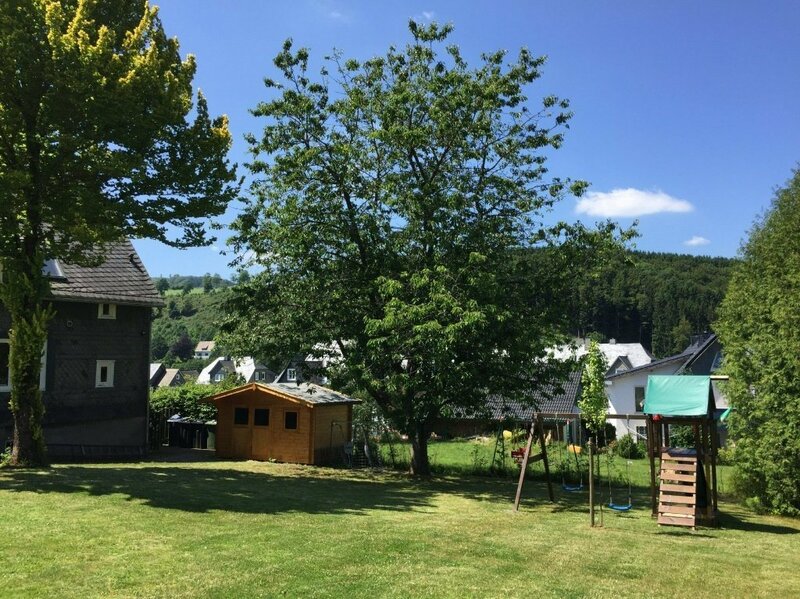 The house is located in the center of the nice village surrounded by wooded hills and direct access to the beautiful Sorpetal and Negertal where you will find endless hiking and mountain bike trails. 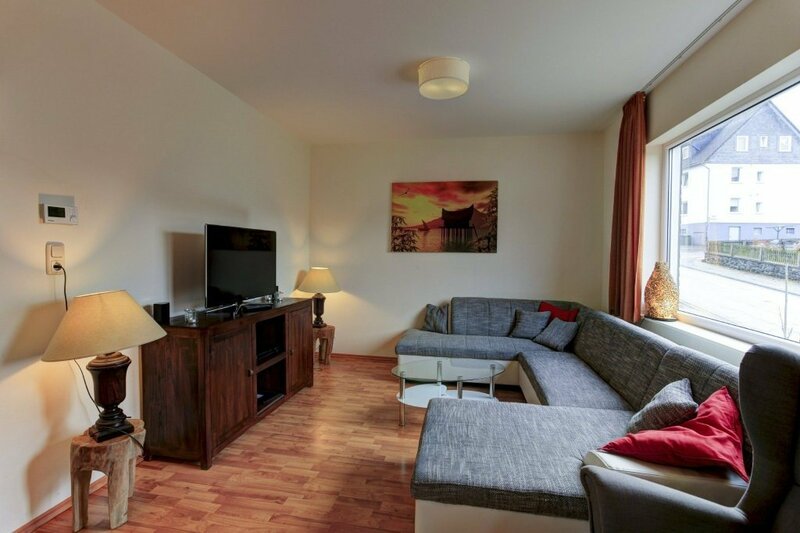 For active holidaymakers are the public swimming pool and tennis court just steps away, but you can also simply enjoy the peace and sun in the spacious gardens and large terraces. 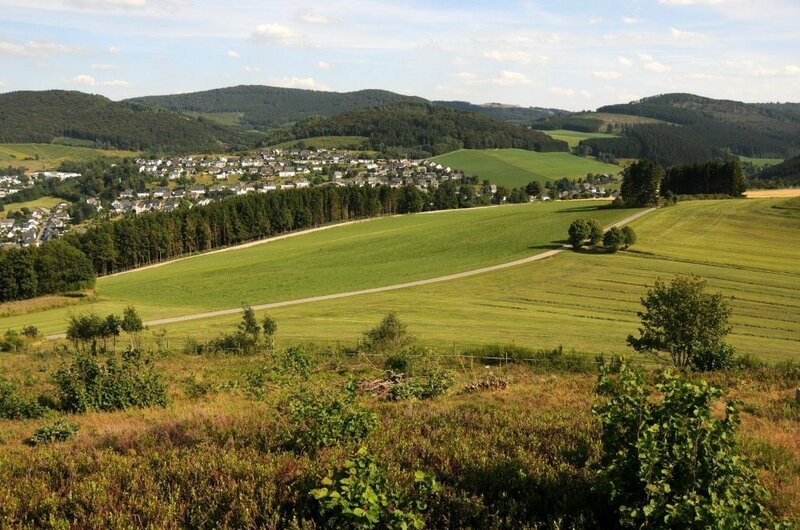 Winterberg (639-809m) has long lived up to its name as a winter destination. 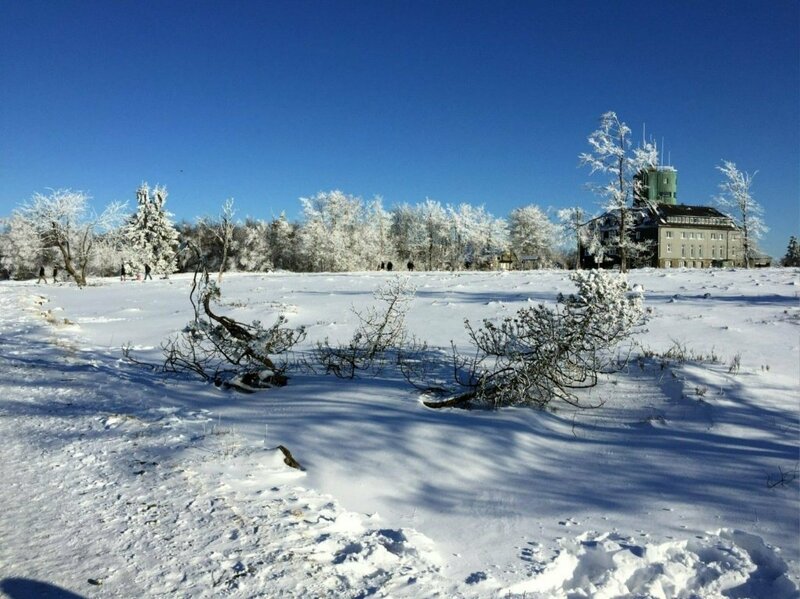 For skiers with good and less experience, there are opportunities in abundance. 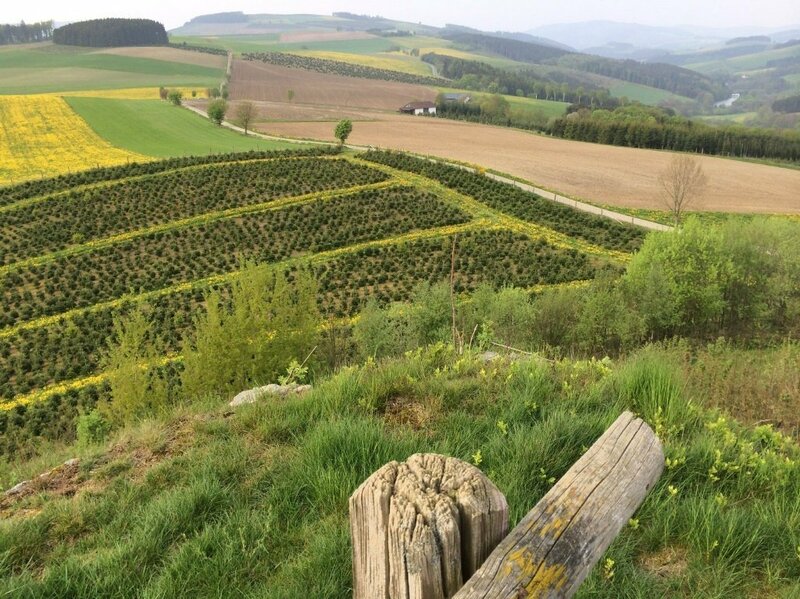 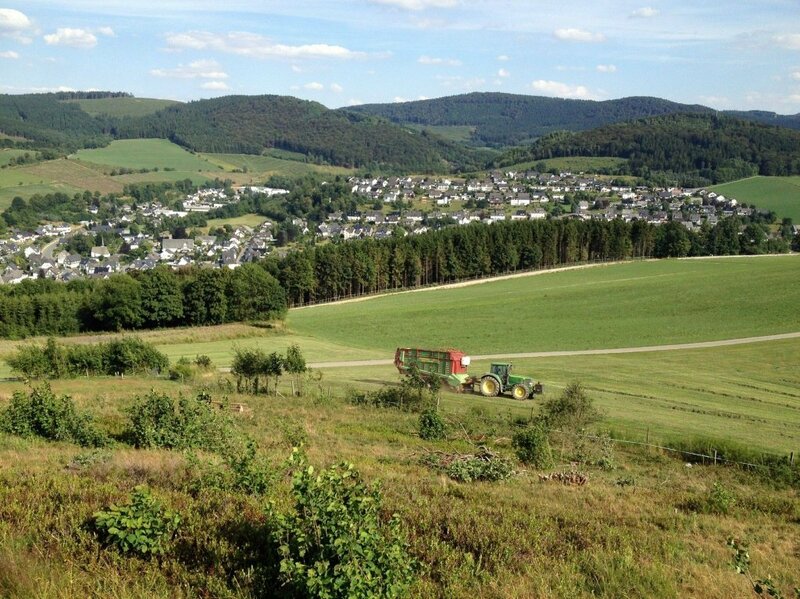 Around Winterberg can make beautiful descents from the Bremberg - Poppenberg - Herloh and the Kahler Asten (842m). 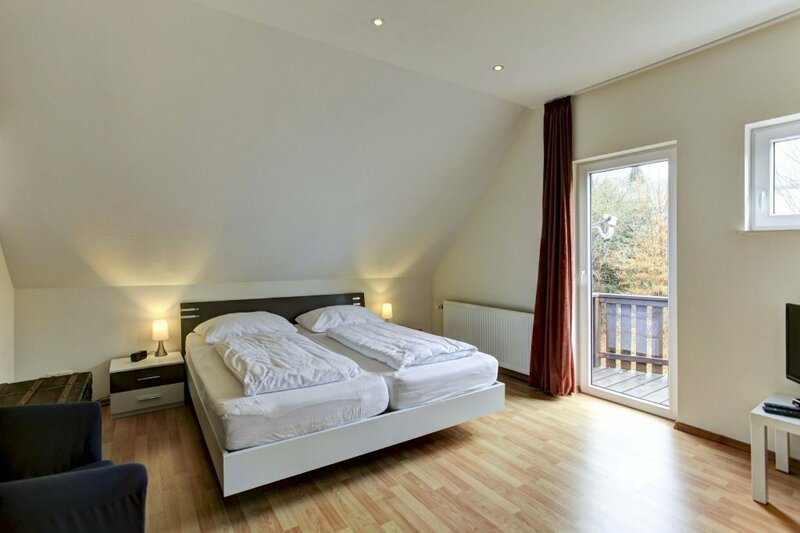 Both skiers and snowboarders can choose from several, well-prepared slopes. 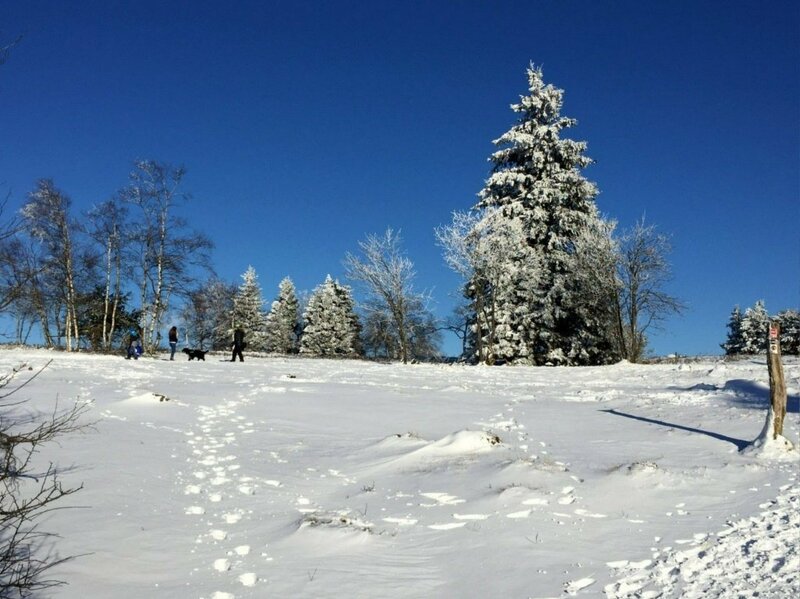 For cross-country skiers, there is plenty to do on the more than 220km of groomed trails. 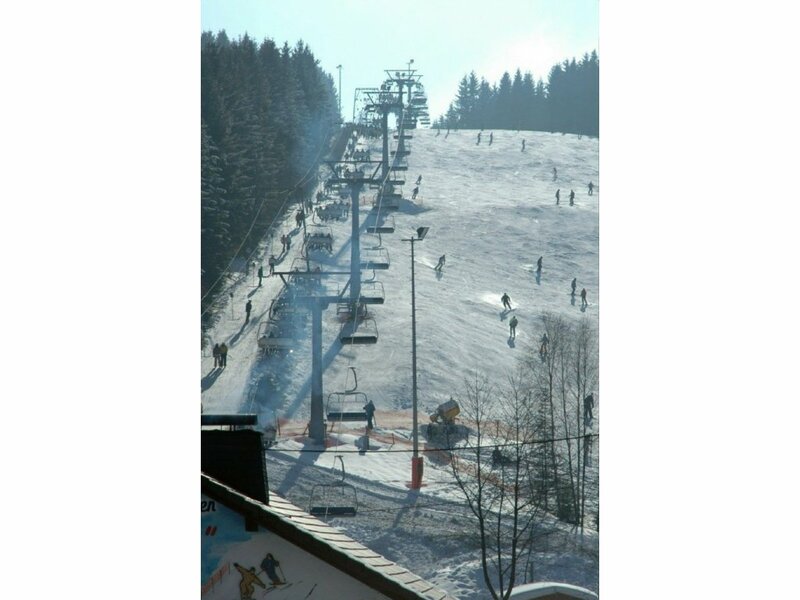 Because snow cannons are present from mid-December to late March, 100 days guaranteed snow. 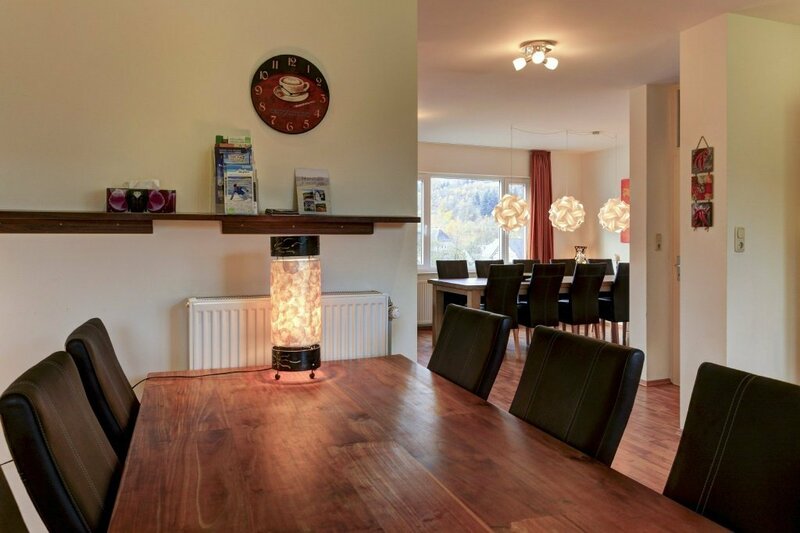 On Wednesday, Friday and Saturday night can be skied on the slopes and 8 every night there are cross-country skiing on the lighted trail in the Kurpark. 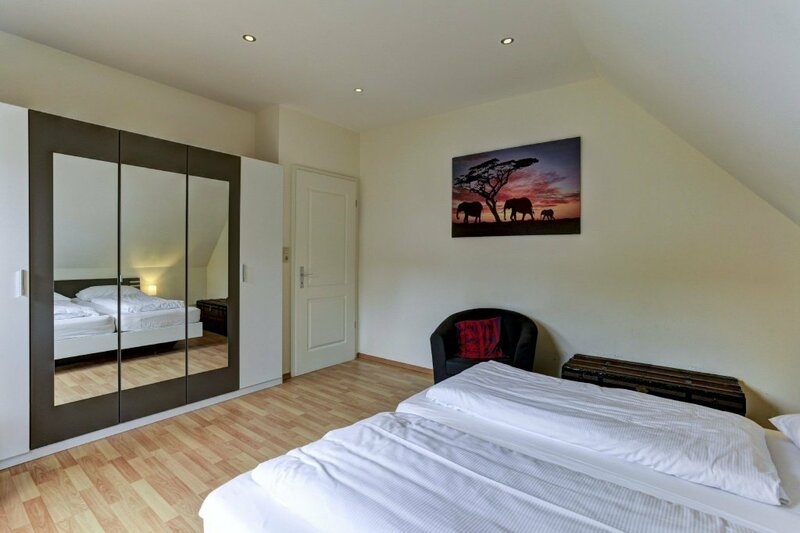 The area is attractive in all seasons and offers many possibilities for a fun and varied holiday. 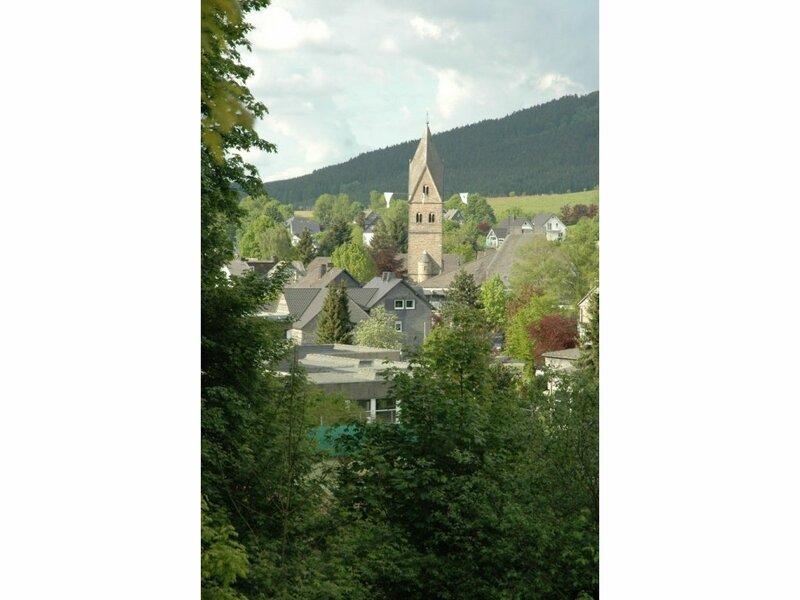 Part of the town center is pedestrianized so you can go shopping in Winterberg. 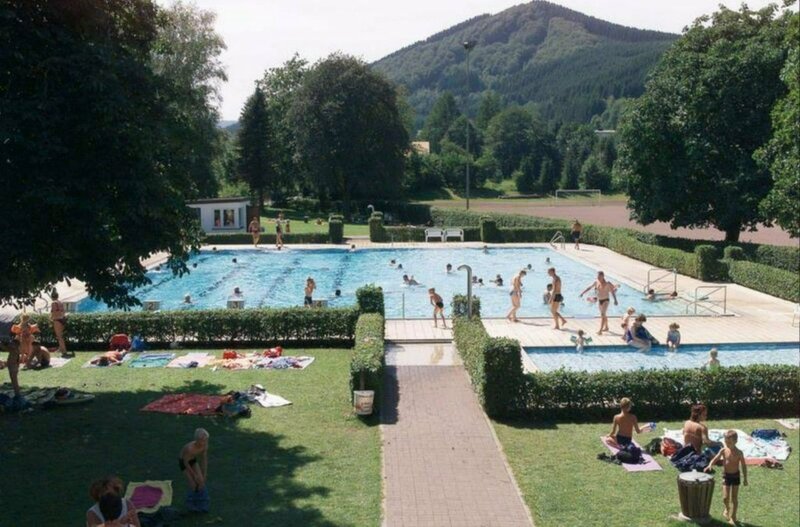 In addition to fun in the snow Winterberg features a large leisure swimming pools, casino, tennis, ice skating, squash, walking bridge and bobsleigh and toboggan run. 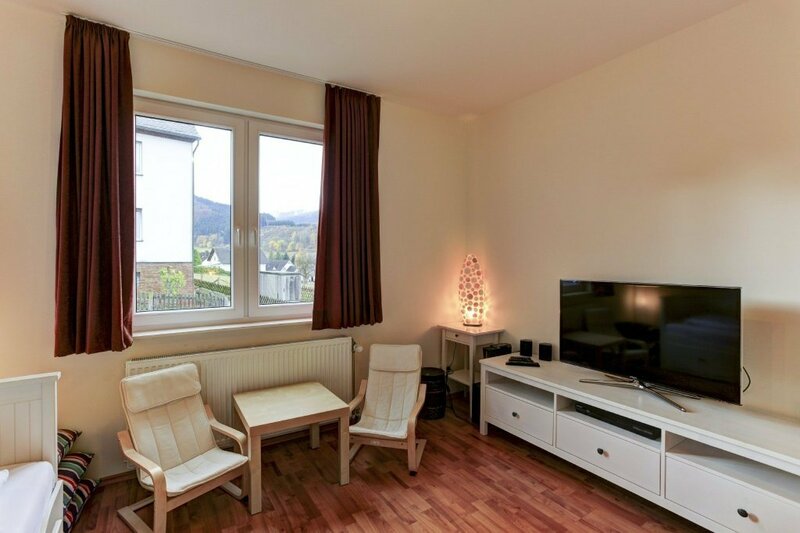 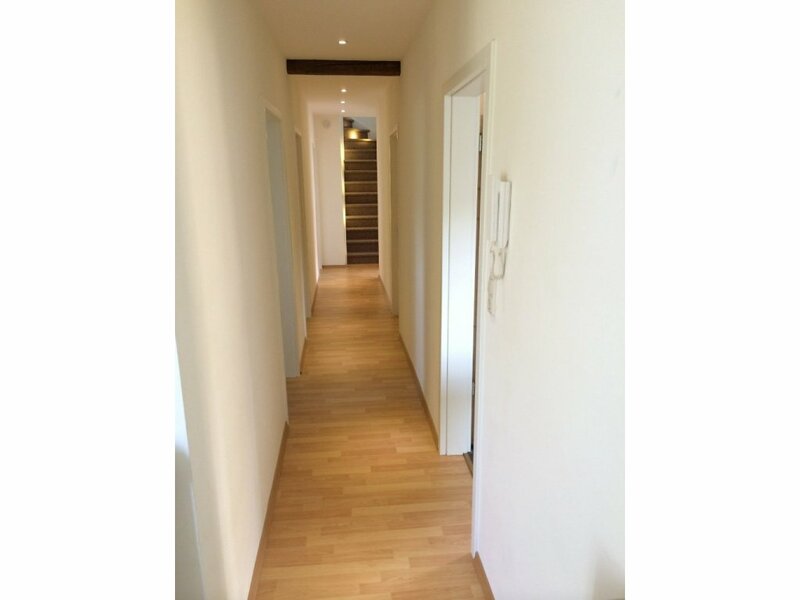 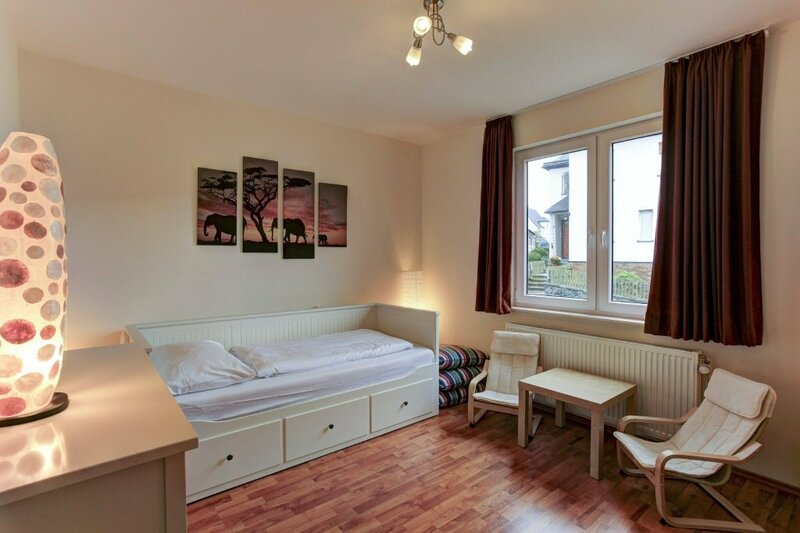 - On the ground floor are two bedrooms and one bathroom, ideal for a family with small children or the elderly who have difficulty walking. 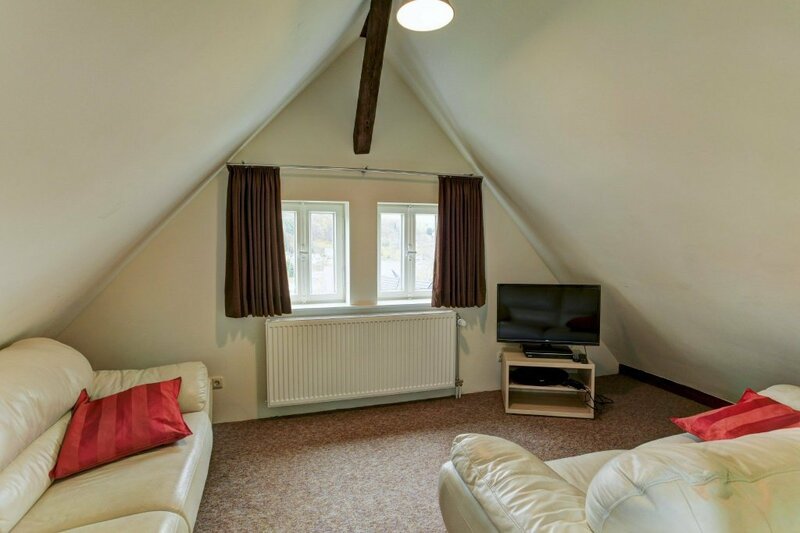 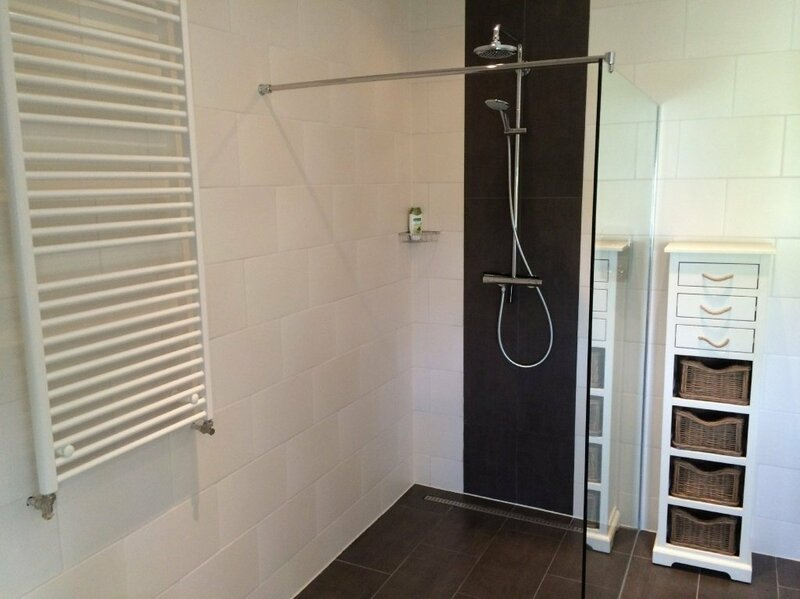 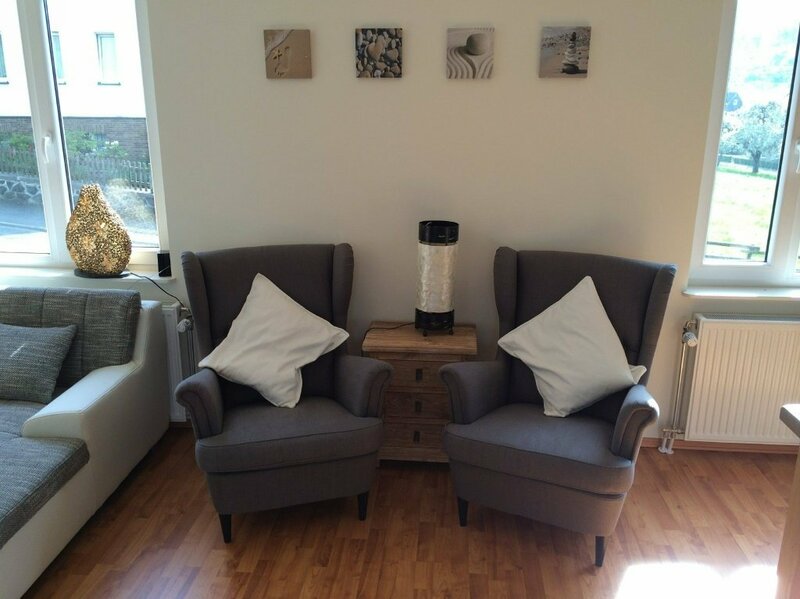 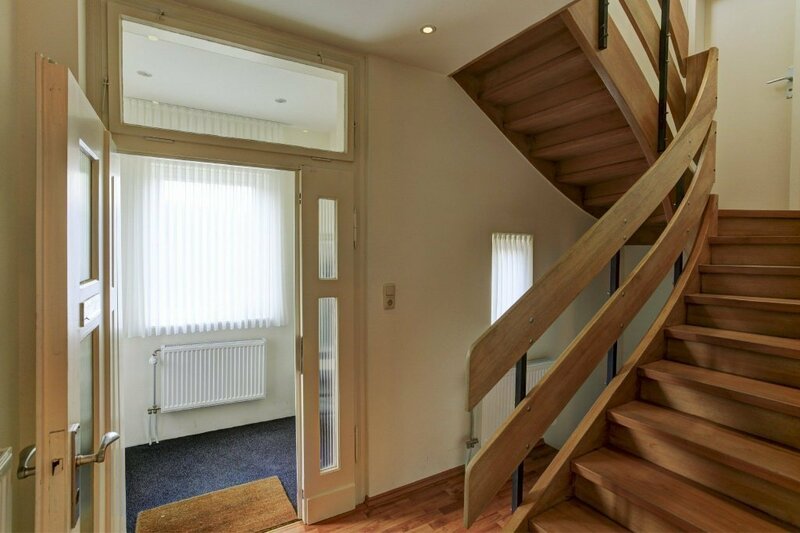 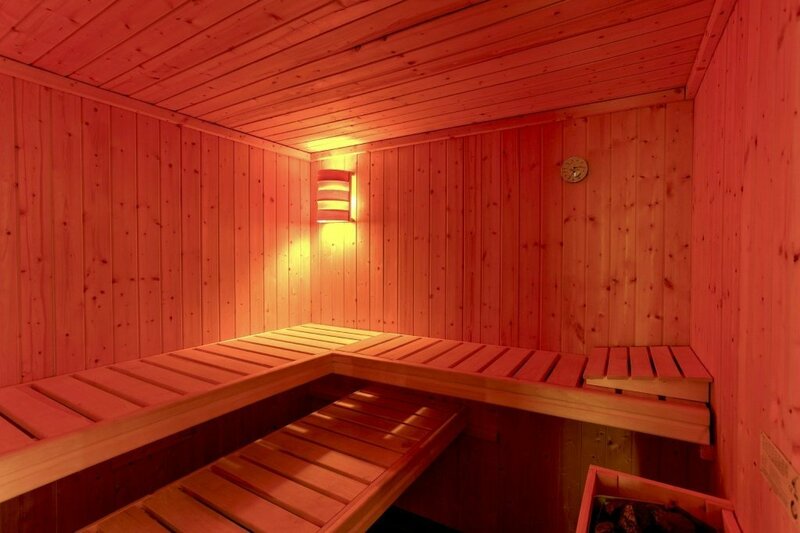 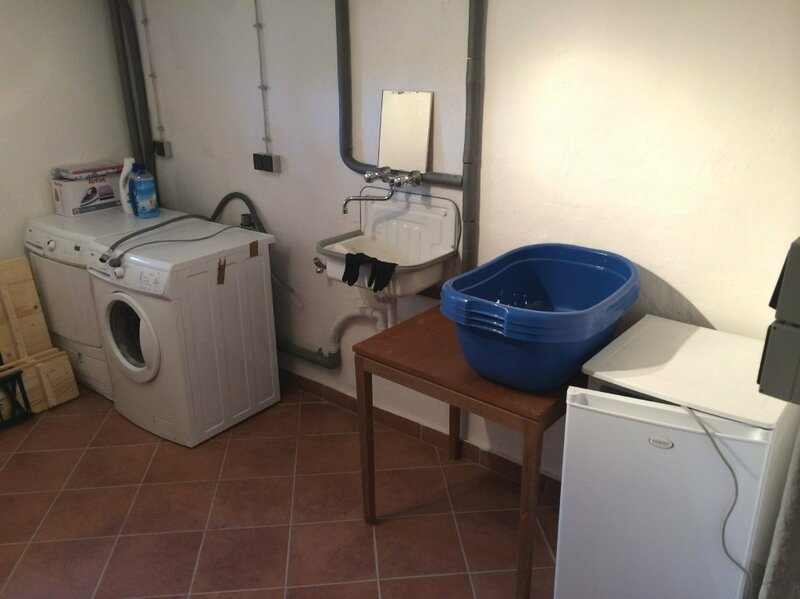 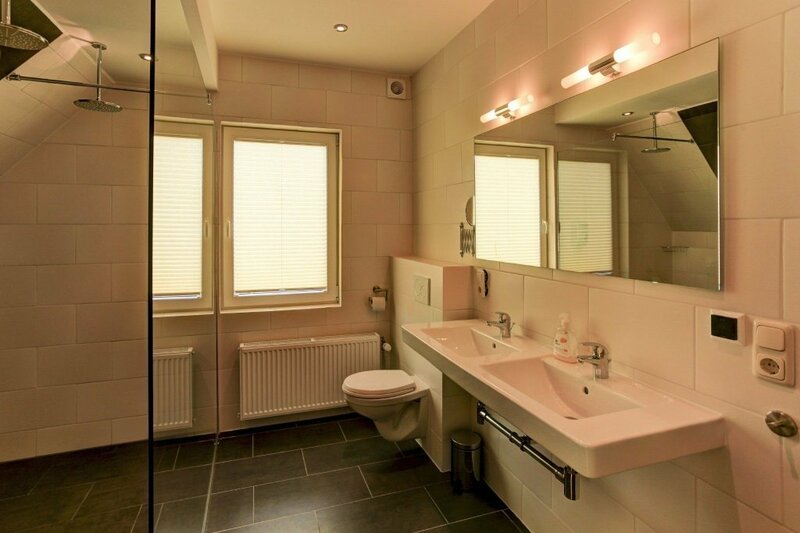 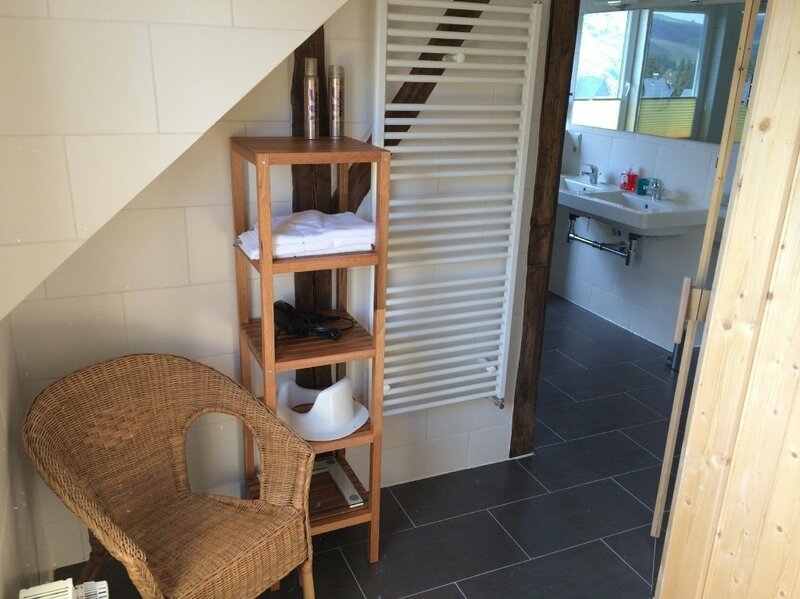 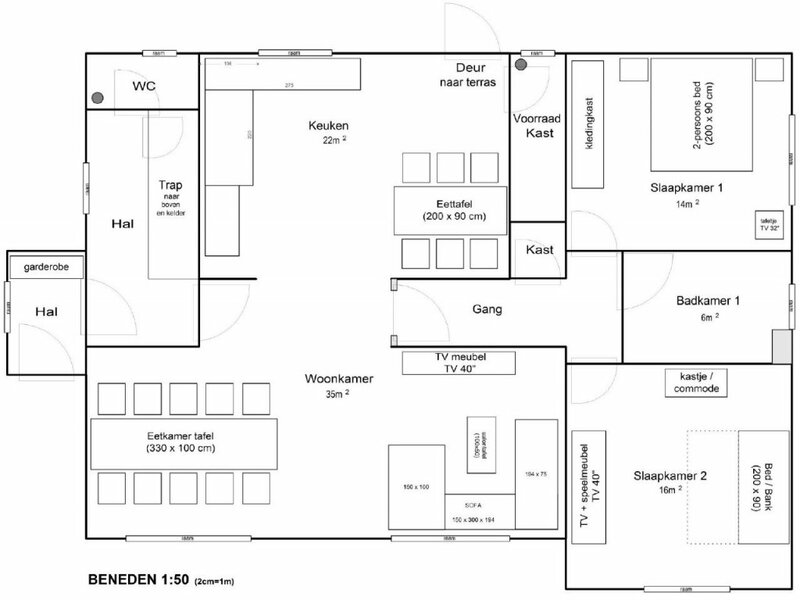 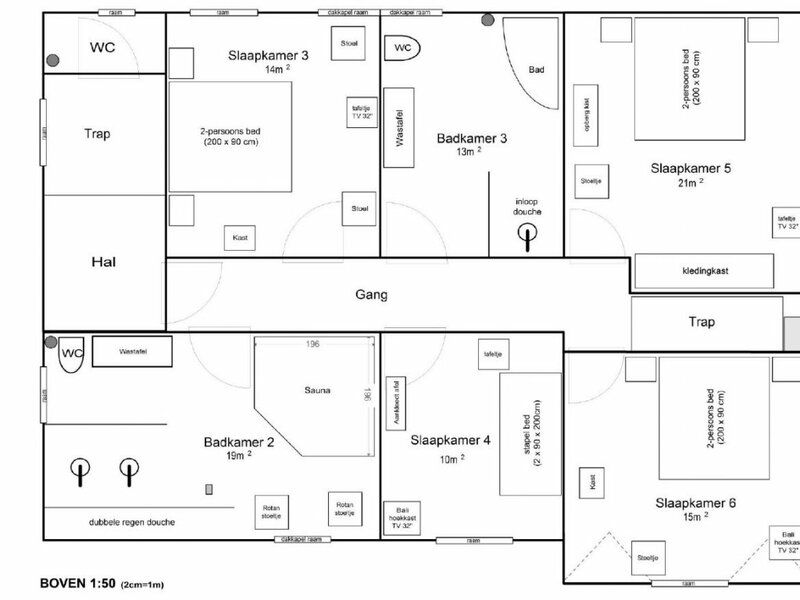 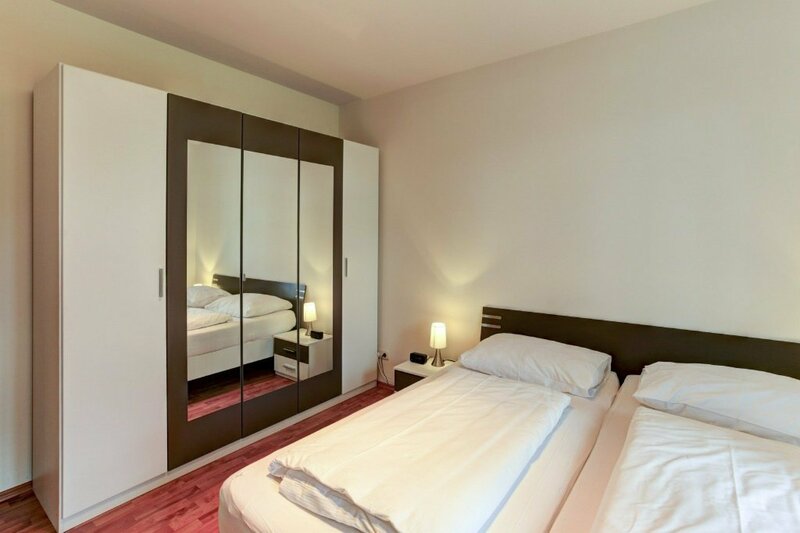 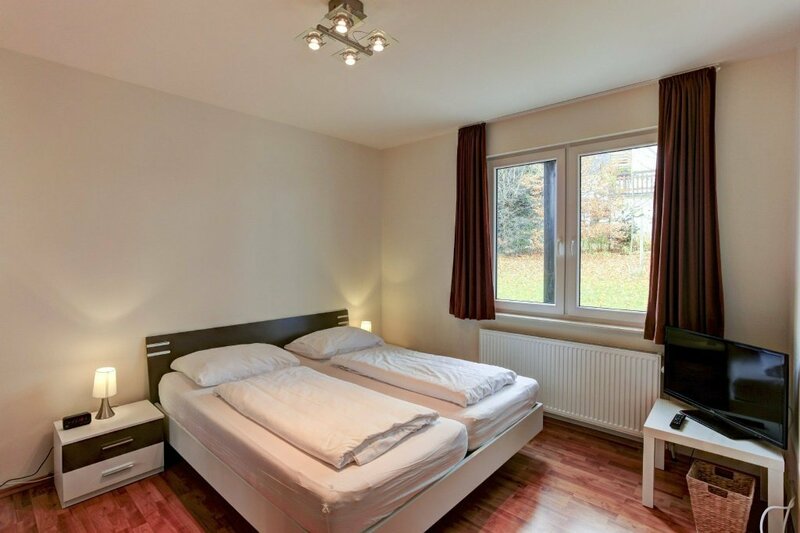 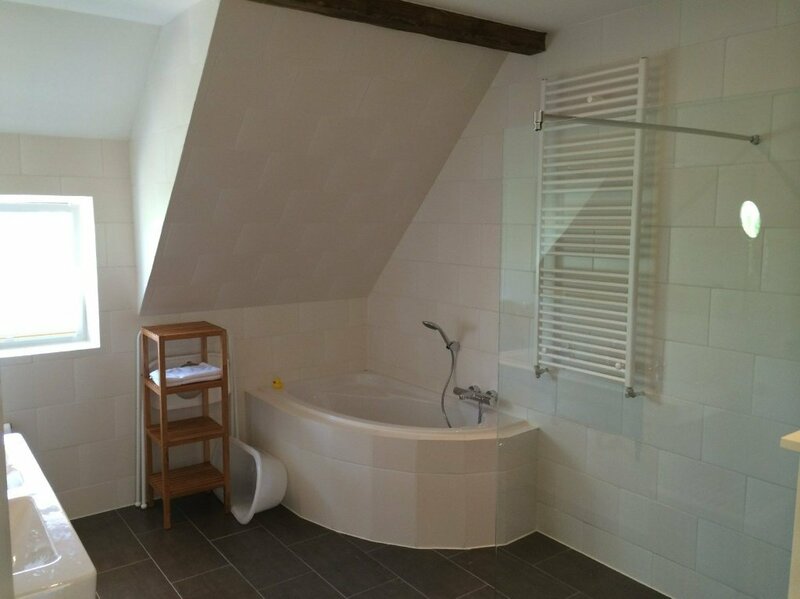 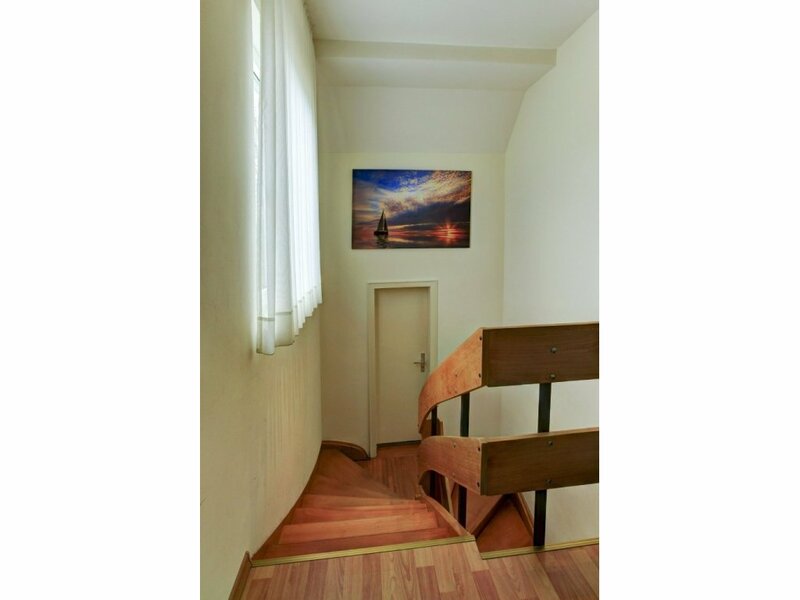 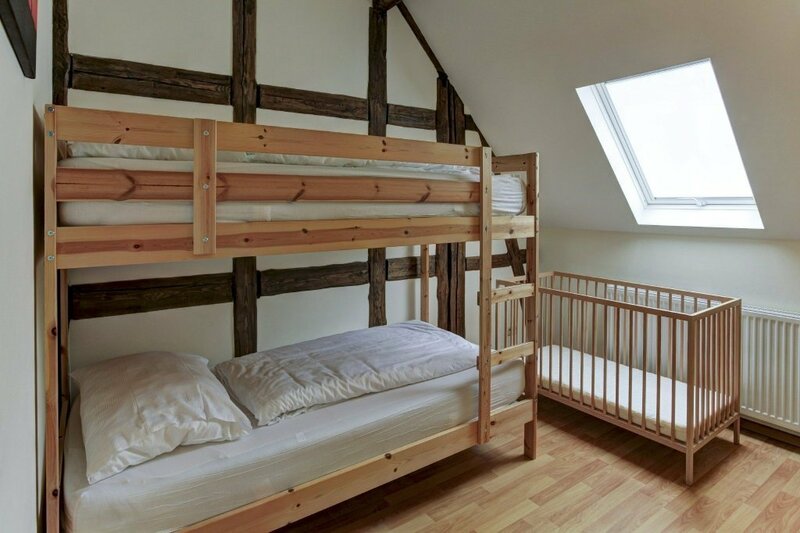 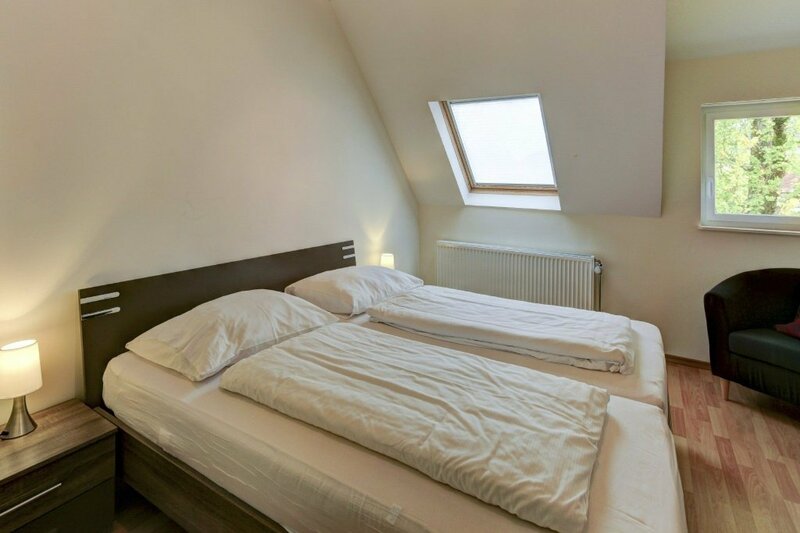 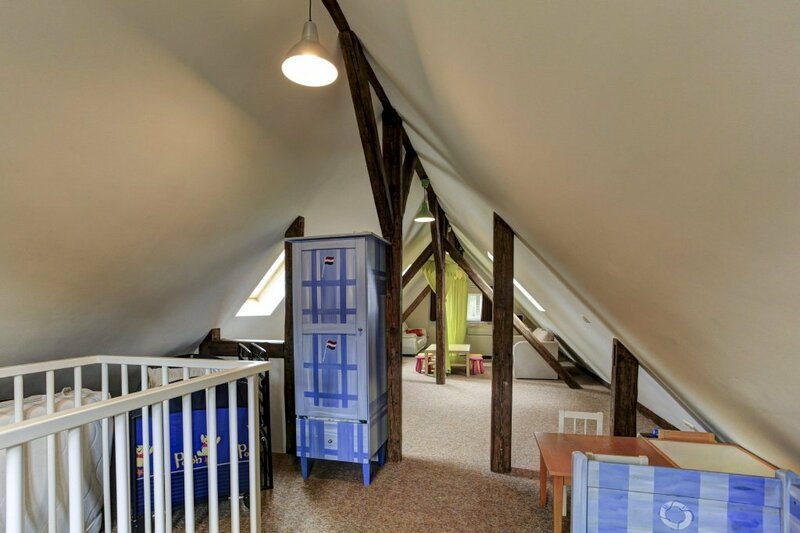 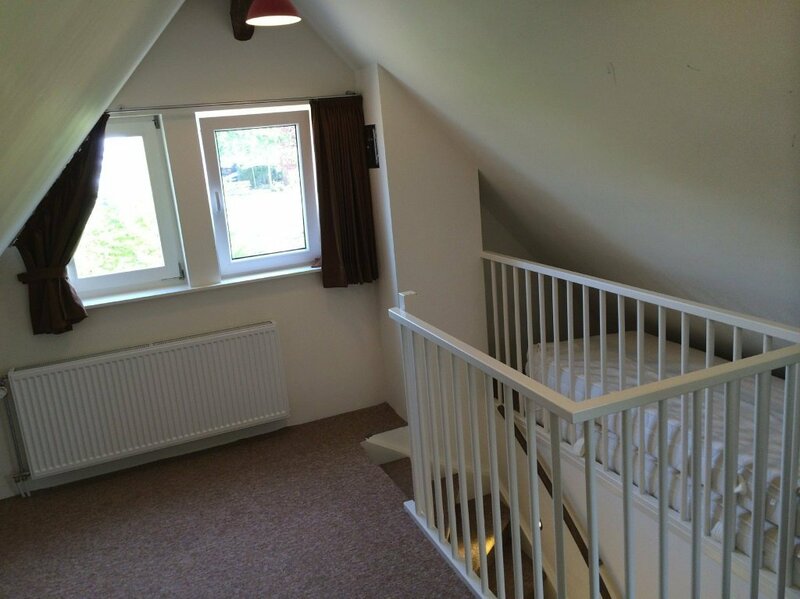 - On the 1st floor there are 4 bedrooms, 2 bathrooms and an enclosed 4-person sauna. 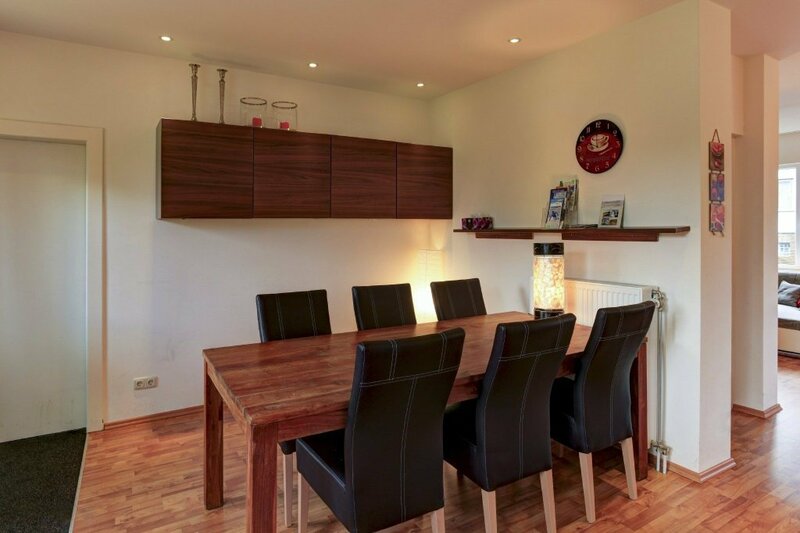 The house is equipped with free wireless WIFI internet (100Mbit) and Smart TVs with Internet connections. 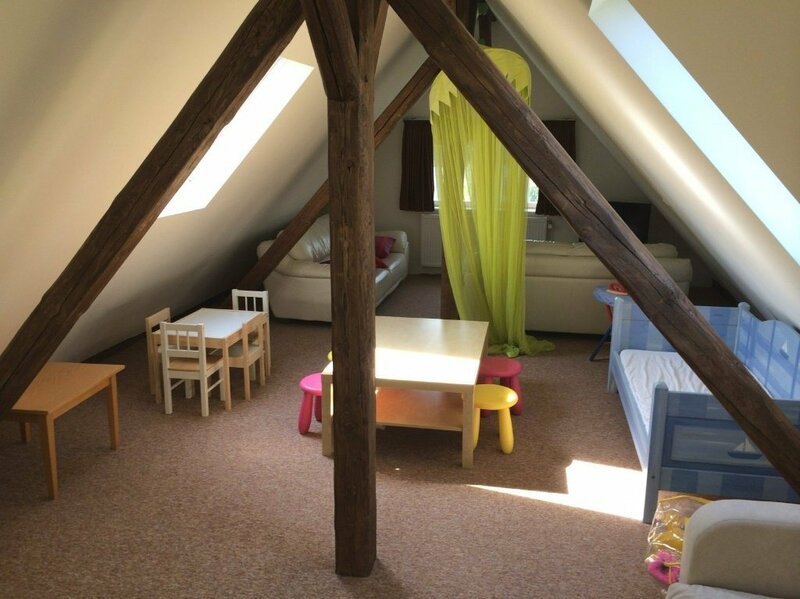 Directly behind the house is a spacious and completely private backyard (40x30m) with activities for the children. 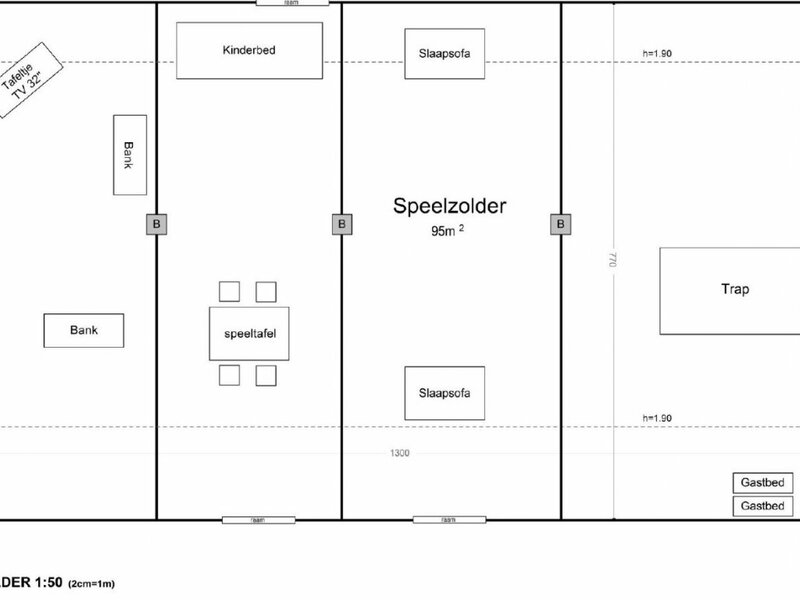 There can be parked three cars on site. 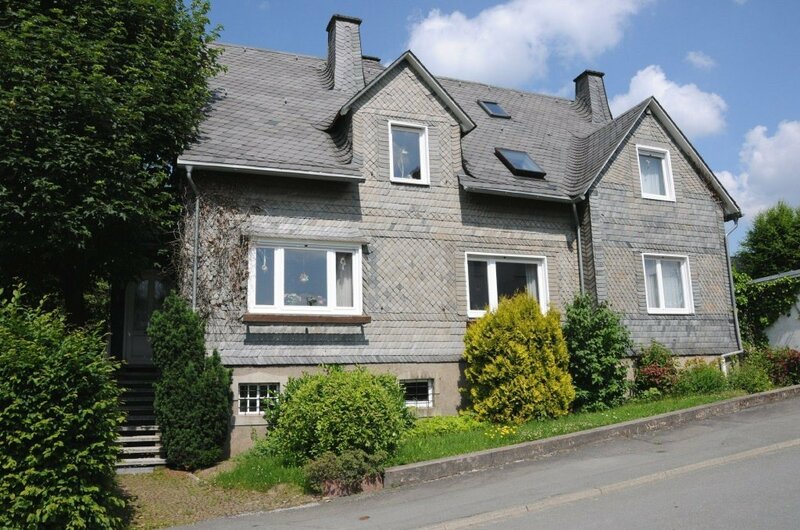 Any additional cars can be parked on the street in immediate vicinity of the house. 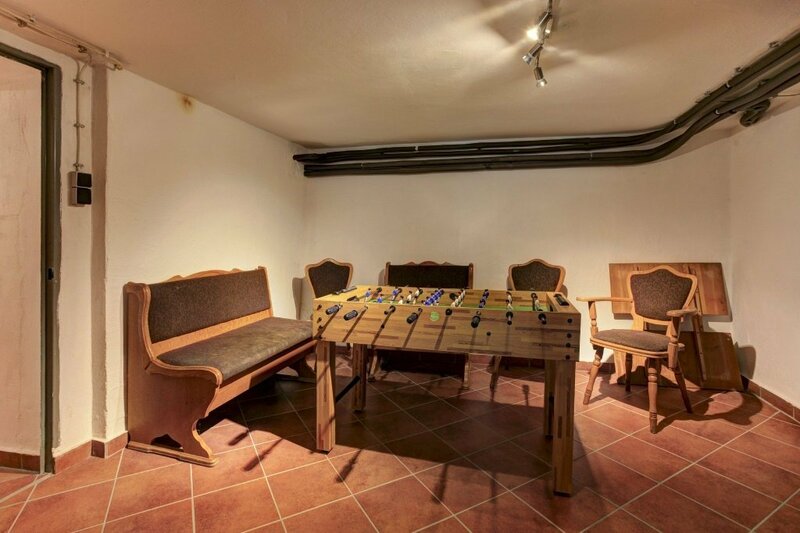 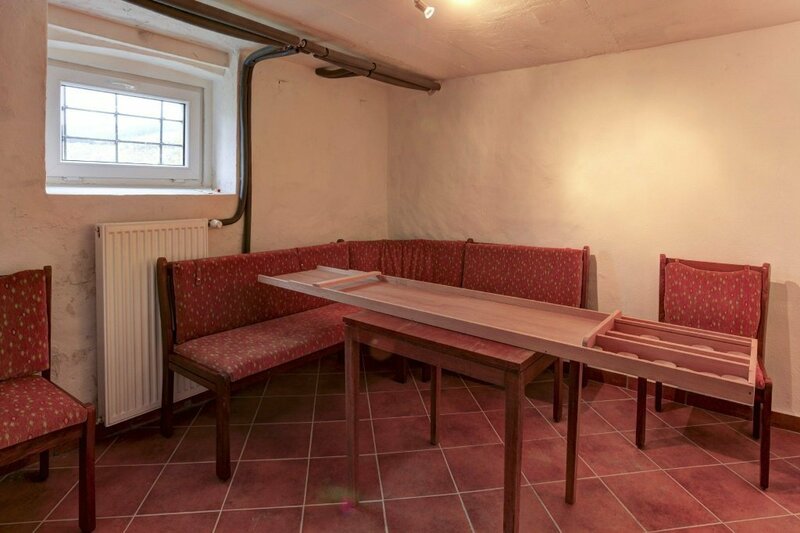 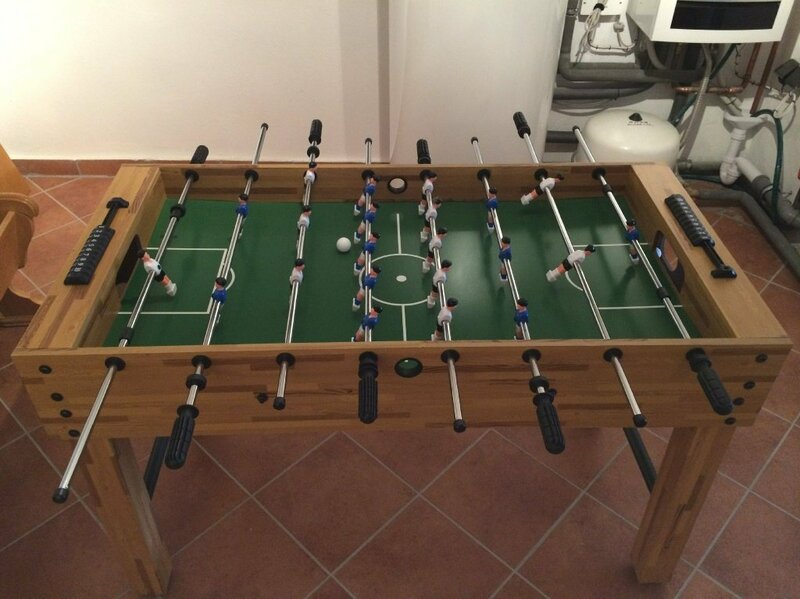 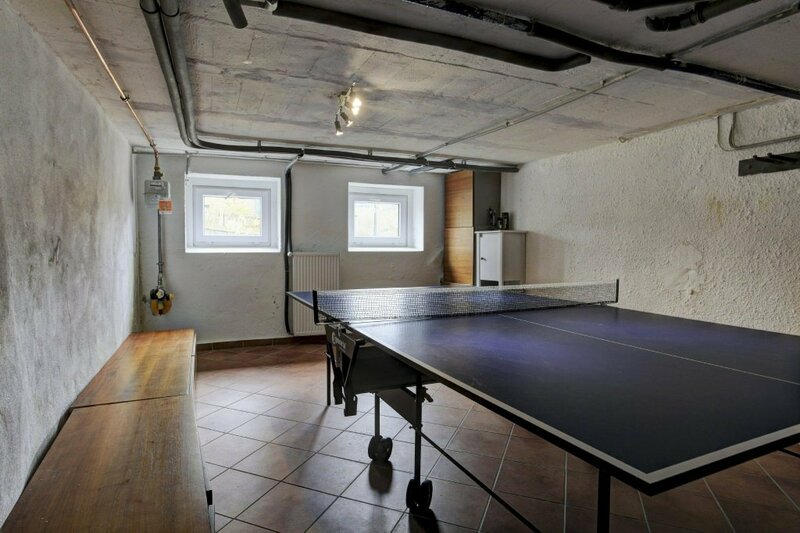 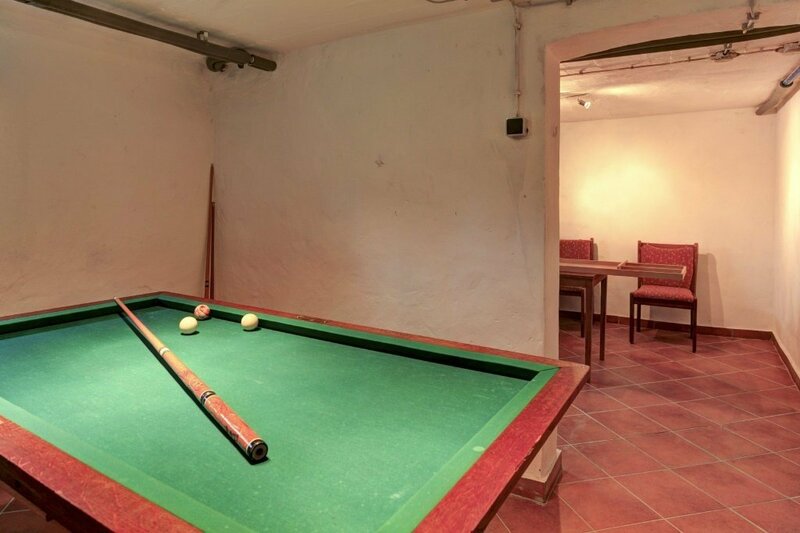 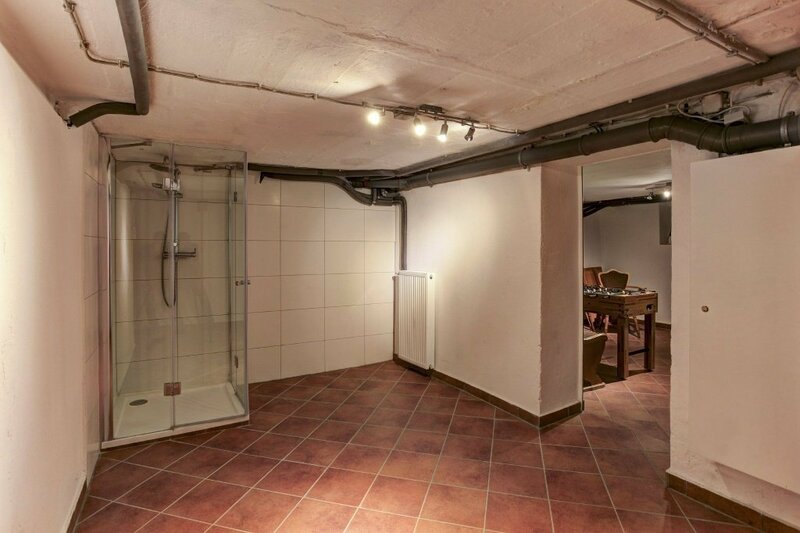 - In the basement is a football table and table tennis. 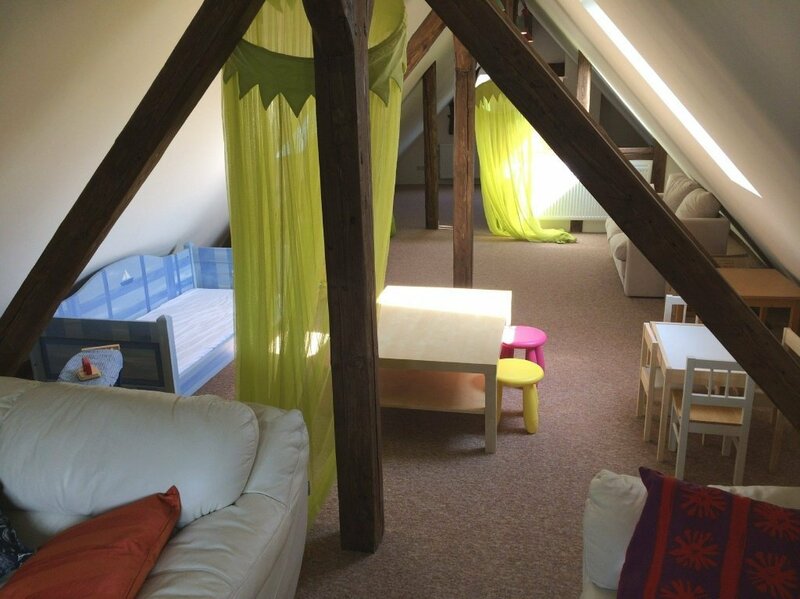 - Full week (Mon-Fri or Mon-Fri).